The first Inanna House was originally planned for Sonoma County, but we have recently changed our location to Washington. We will keep everyone updated as we move forward with our new plan and progress. Inanna House is not offering treatment at this time because we are still in the fundraising stage. 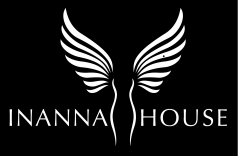 We are unable to say when Inanna House will be able to open its doors. We are not receiving any donations at this time, although we do keep the 501c3 status updated and valid.